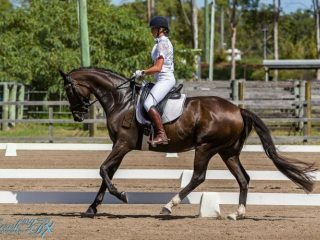 Top Ad THE SCHOOLMASTER YOU’VE ALWAYS DREAMT OF! Very sad sale of a much loved friend. ‘The All Black’ is a 17.2hh 12y/o gentleman, ready to find his forever home. 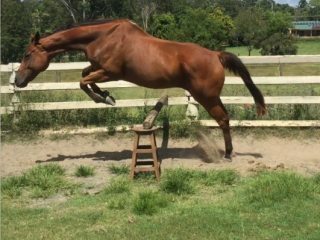 His next rider will experience the joy of sitting on a horse knowing that they have a multitude of ‘fun buttons’ to push; as well as the reassurance that they are as safe as one could ever be on horseback. 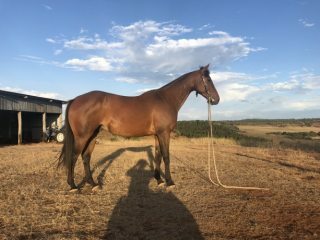 Affectionately named ‘Bub’, this lovely chap is excellent to handle, travel, trail ride... with anything you ask of him, he will give you his all. Bub is one of these unique horses who will tailor his riding experience to the skill of his jockey. Bub is currently competing competitively at medium; however has the far more advanced movements ‘on tap’. Prospectice homes will be thoroughly screened. Price is negotiable, home is NOT. Bub is an extremely special boy who will bring much joy to his next human.